Samsung has announced that all the TVs in its 2016 line-up will feature Internet of Things (IoT) support as well as SmartThings platform integration. 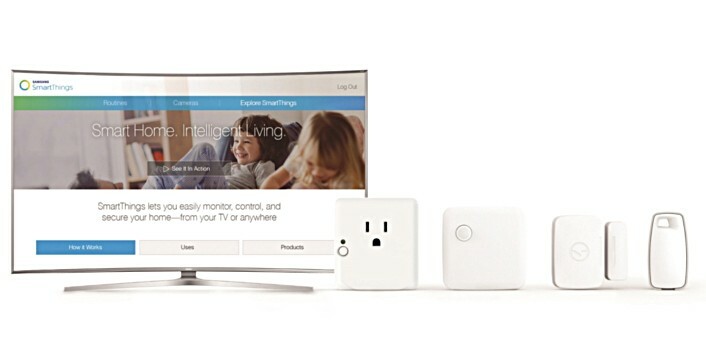 For those wondering, SmartThings is an open platform that lets users connect, manage and control smart devices and IoT services, something which they can do directly from their smartphone and SUHD TV. The South Korean company says that its upcoming SUHD TVs will apply the home-grown IoT hub technology, allowing them to act as the controller for the entire smart home. The IoT ready TVs will be showcased at the upcoming Consumer Electronics Show (CES), which is scheduled to be held during January 6 - 9 in Las Vegas, Nevada. Although the TVs will be SmartThings-enabled at launch, "the functionality will be activated regionally as SmartThings expands its platform availability," Samsung said. @GSMArena, do you have any higher contacts with Samsung? May be they can assist the situation and can help to deal with boorish Samsung Russia service?